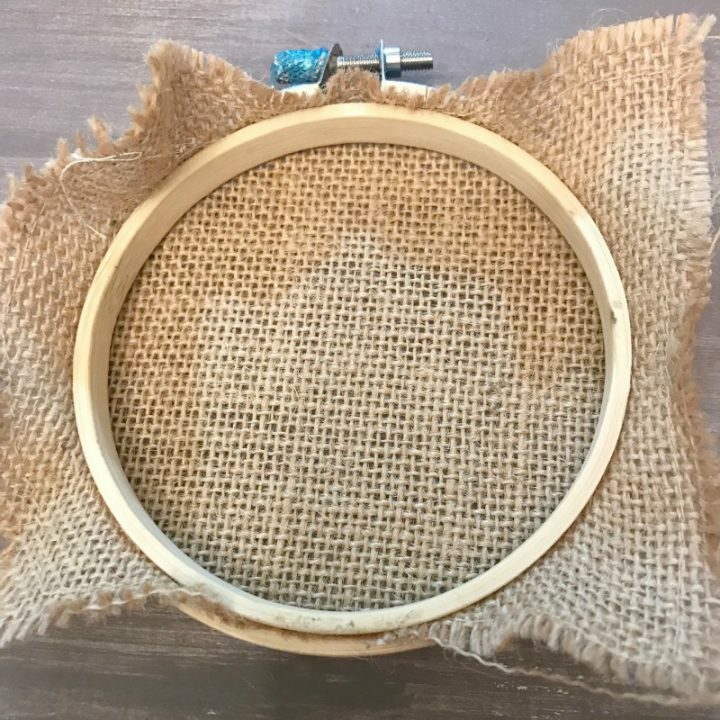 For this year’s Ornament Exchange I will show you how to make a personalized burlap embroidery hoop ornament that is neutral enough to go with any style decor. 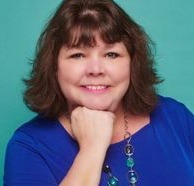 I was paired up with Cherryl from Farm Girl Reformed. We exchanged emails and discussed our Christmas Tree decorating style. If you have not checked out her blog yet, you definitely should! I love Dollar Store finds and she inspired me with this Dollar Tree Gift Basket Guide. Great ideas for neighbor or teacher gifts! 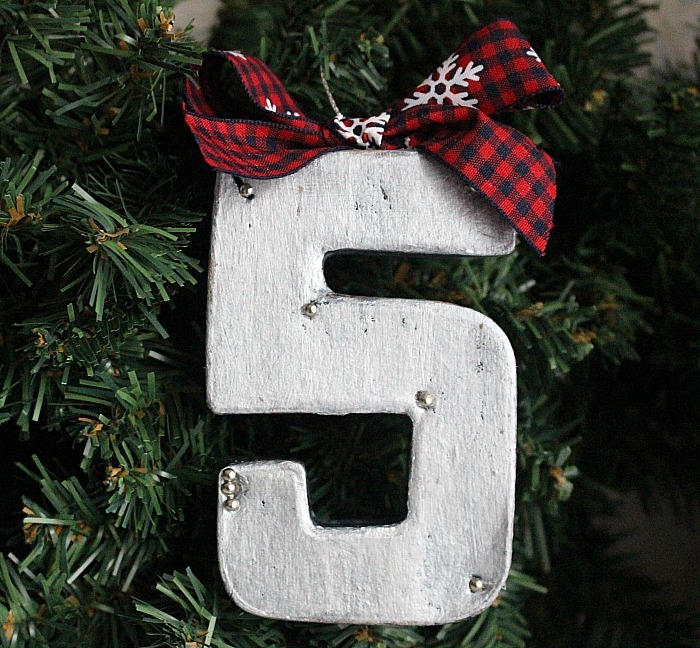 It is so easy to make and can be personalized with a letter or number, even an image of a deer or santa. It is neutral enough to go with any decor, not just rustic. 4″ Embroidery Hoops – This set of 12 is a great price! 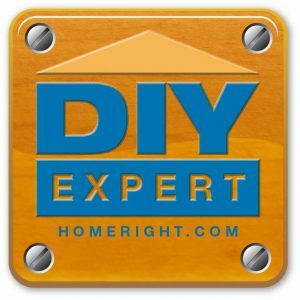 Hot Glue Gun – If you like to craft, this cordless glue gun is my absolute favorite! The fact that it is cordless makes crafting so easy. Christmas picks with pinecones – I found these at Michael’s. You can stain or paint the embroidery hoop, but as she likes rustic I decided to leave it as is. I really wanted to stick with the decorating style that she likes. Next place a square of burlap fabric between the two hoops and cut the excess. Then hot glue the Christmas greens and pine cones. I wanted it to look like the embroidery hoop wreaths that are so popular now, so I only added greens along the bottom and a couple sprigs along the top. Easy, peasy! To personalize the ornament, I used my favorite Chalk Couture. I’ve been having so much fun creating all kinds of goodies with these products that you can see here. 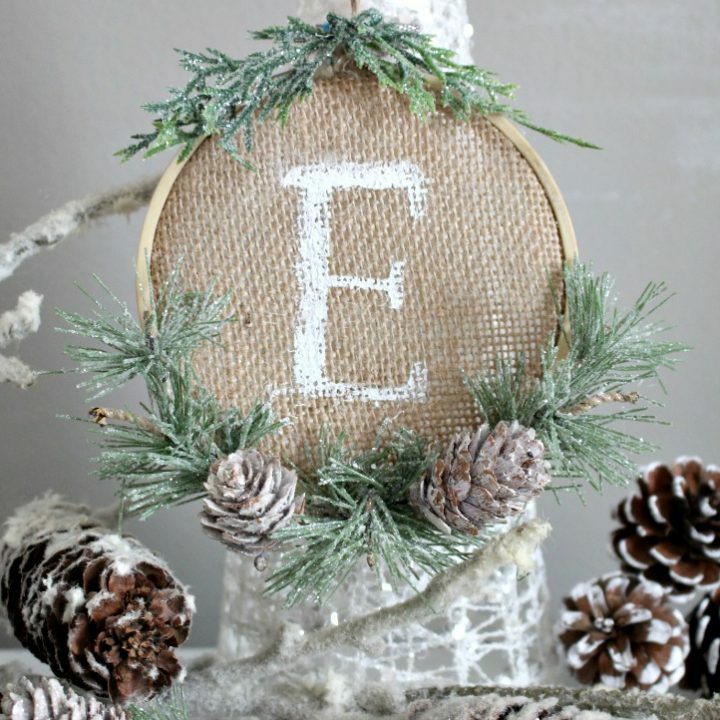 I used white chalk paste for the E. I really hope Cherryl likes this burlap ornament! A big thank you to Erlene from My Pinterventures for hosting this Ornament Exchange. If you follow me on social media you may have seen the woodland snow globe ornament I shared last week. 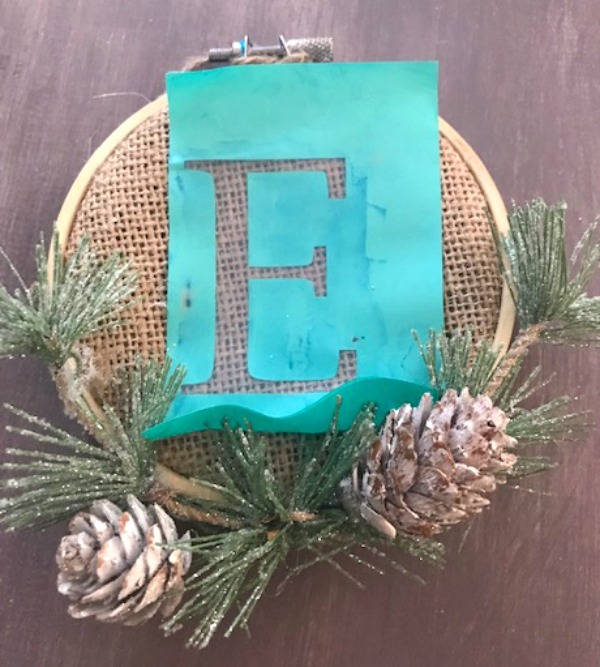 Every Thursday for the next four weeks I will be sharing DIY Christmas Ornaments to hopefully inspire you to make your own ornaments. There is nothing like handmade gifts, especially at Christmas. 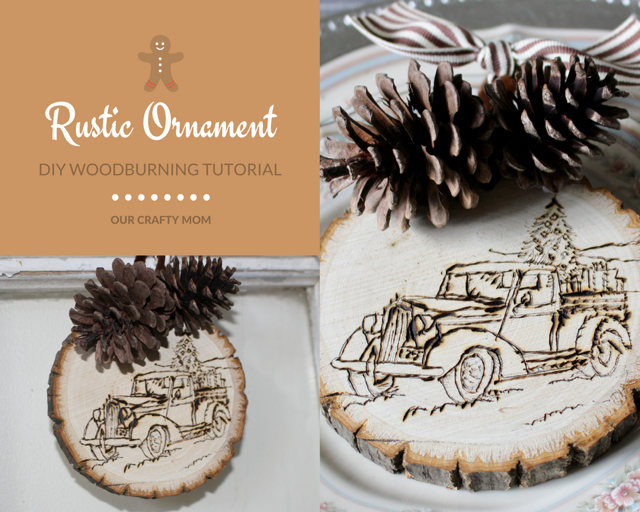 and the 2016 Rustic Wood Slice Ornament here. If you have a handmade ornament tutorial, we would love for you to share it on the link party below ⇓⇓ Add as many ornament tutorials as you like until December 15th. Oooh! I am loving all these ornament ideas. What a great idea to personalize your hoop with a little monogram; I bet she’s going to love it. Pinned. 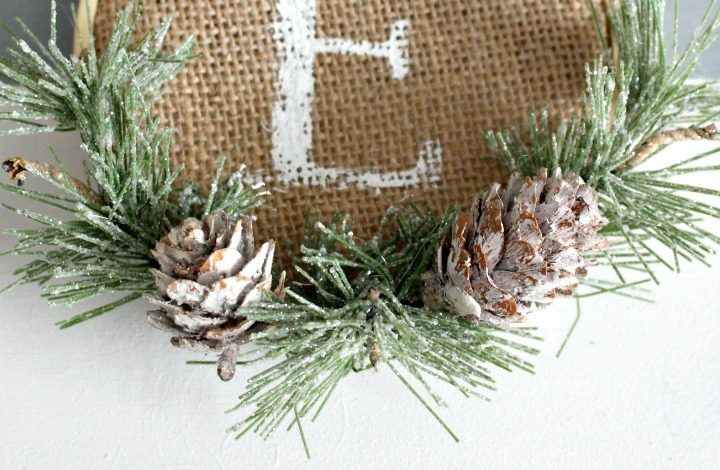 I love the rustic feel of the ornament and the snow covered pine cones and greenery. It just looks like Christmas. Beautiful! This is adorable Michelle! The frosty sprigs are perfect! LOVE! I am the recipient of the ornament, and I can hardly wait to place it on my tree! I think I will probably be making more to go with it, thanks to your great tutorial! What a sweet ornament. I love how it can be personalized to make it so special. What a great idea! 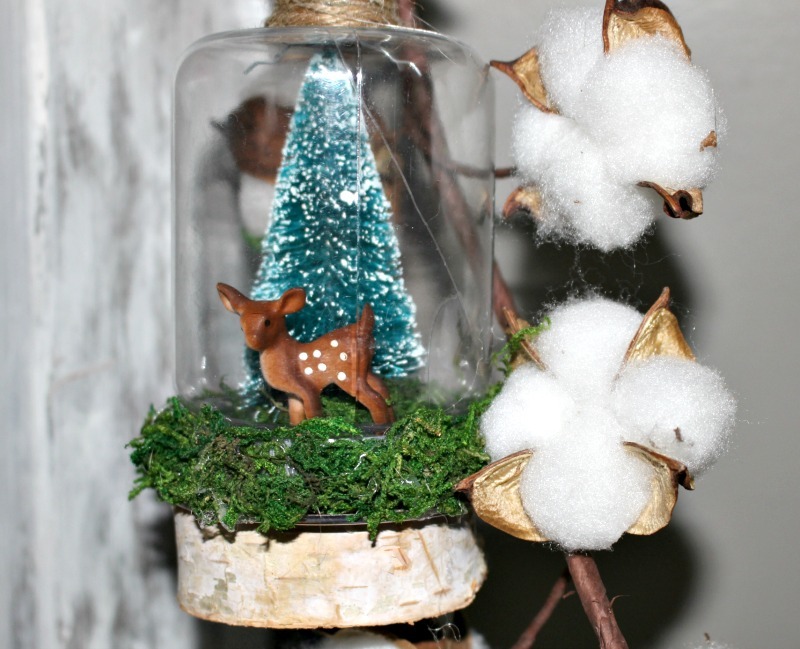 This will go perfect with Cherryl’s rustic themed tree! This is the epitome of a farmhouse Christmas, and I LOVE it! I am loving this gorgeous ornament Michelle, what a cute idea, it looks beautiful! Love that you personalized the ornament with the first initial of her last name. I’m a sucker for hoop crafts, so this is right up my alley 🙂 Pinned. 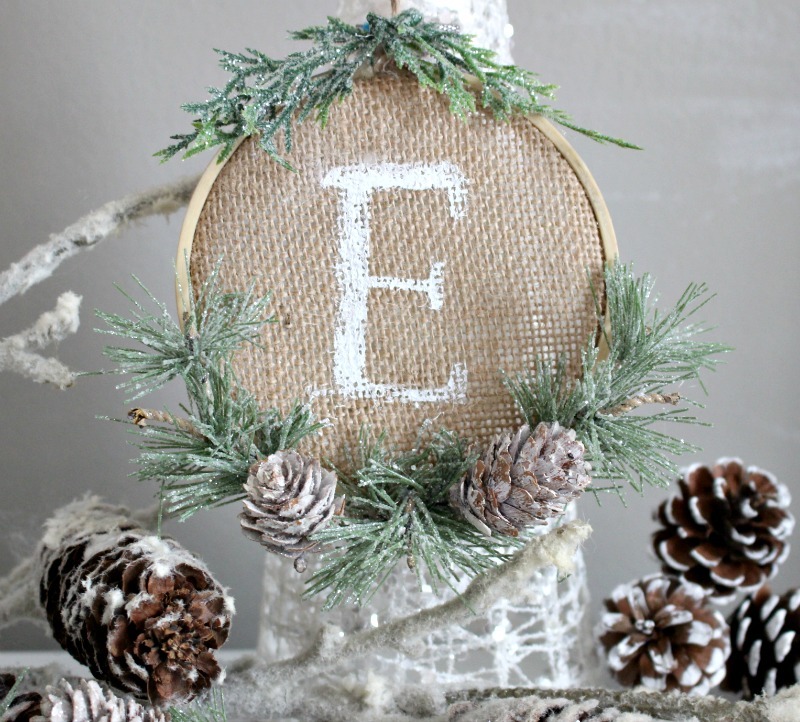 Great simple wreath ornament, I like the rustic feel of this Michelle. My favorite idea is the one of the truck it’s so one of a kind and artsy. These are so sweet and homey! Will definitely have to add this to my tree!